Karen House : Nov. 7, 2018, 9:39 p.m.
Hal Davidson (left) compares notes with Jeremy McMinn and Cotey Tanner, who are helping organize the Memorial Day music festival. The stage will be on the low rise visible behind them. Nov. 7, 2018 – Promoters are planning the first-ever music festival on Cagle Mountain for next Memorial Day weekend, May 24-27. 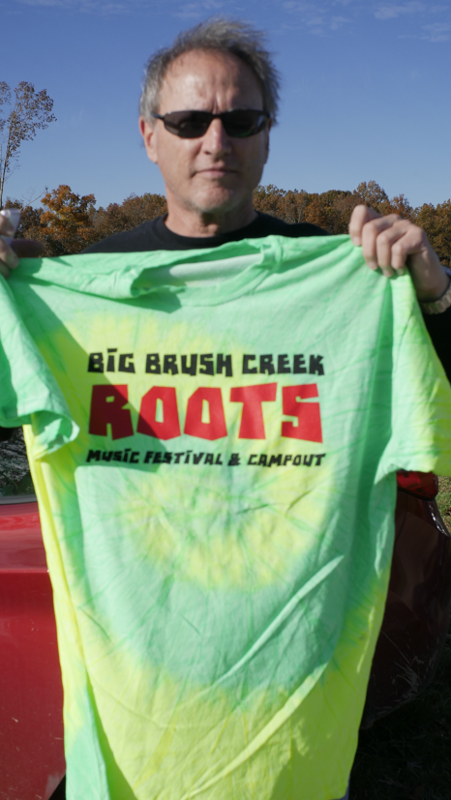 The “Big Brush Creek Roots Music Festival & Campout” will be held on an 1,100-acre farm owned by the Dixson family, located at the end of Whiteoak Swamps Road. “We're going to be using regional talent – to try and feature them,” festival organizer Hal Davidson said Tuesday. He gestured toward a slight rise in the green field stretching behind him. Davidson was conferring that day with two co-promoters – Jeremy McMinn and Cotey Tanner, who have contacts in the music industry through their band, Plainview Vibes. McMinn and Tanner are helping locate available talent to perform at the Big Brush Creek festival. The four-day event is planned to be “the opposite of Bonnaroo,” Davidson said. It will be a more intimate venue, emphasizing “roots” music – blues, bluegrass, country, soul, and reggae. Davidson said the music festival will cost $140,000 to put on and will feature 25 bands. There will be day tickets for the festival, reduced or free admission for children, and unlimited campsites for those who come for the whole weekend. Cars will be searched for alcohol and firearms before they are admitted, for security reasons. 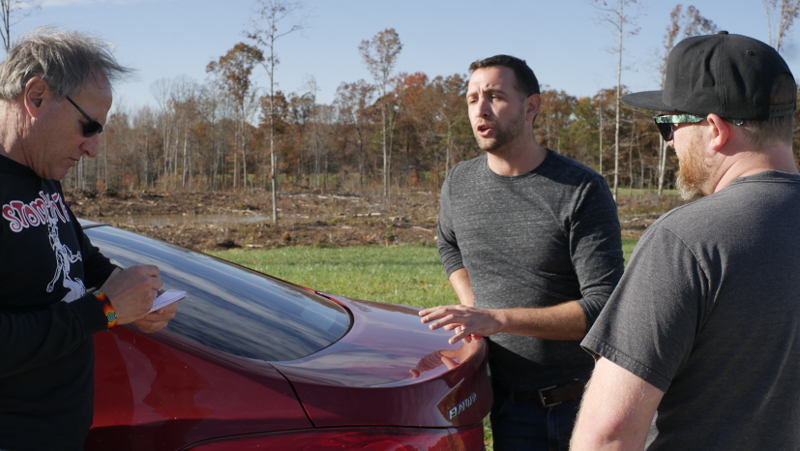 Davidson pointed out that the farm is a “really big piece of property. Hal Davidson shows a promotional T-shirt already available for sale at the music festival's website.